I asked them later why they had opened up to me. Their response was that I was one of the few people they thought could bear to hear what had happened. I recognized their trust as a gift to be treasured. As a young medical student, it taught me that histories must be received, not taken. The ability to listen, to empathize, to build trust – this is the basis of narrative medicine. Developed by Rita Charon, MD, a professor at Columbia University College of Physicians and Surgeons, narrative medicine is a model of enhancing the patient-physician relationships through empathy, reflection, and enhancing trust. It uses the skills of recognizing, absorbing, interpreting, and being moved by the stories of illness. If our patients do not feel like we heard them, we may not gain acceptance of the care plan we offer. Our society is losing this ability to listen, to stay focused on one person or topic for extended periods of time. Communication has been reduced to short bursts of text, social media posts, and emojis. As clinicians, we listen just long enough to figure out what test to order and type it into our EMR. We must – the next patient is already waiting, with dozens more before the day ends. Before long, we find ourselves in a field where burnout and a loss of spirit, joy, wonder, and meaning are commonplace. The approach works in every specialty, in practices of all sizes. My own medical group, The Southeast Permanente Medical Group, is beginning to offer Narrative Medicine Rounds, where we share our “parallel chart” – written stories and reflections on patient encounters. Our goal is to help clinicians reconnect with their own healing spirits through fellowship with other healers. A similar process could be used in department meetings, staff huddles, or even one-on-one. The process of learning to genuinely listen may take some time. In one of my favorite stories, Margery Williams’ The Velveteen Rabbit, the Skin Horse describes how becoming “real” takes time … and can be painful. Yes, the health care field needs significant and meaningful systemic and operational changes. We can do our part by giving patients more hope and healing by adopting a narrative medicine approach to care. Doing so can enhance our “realness” and help us reconnect with our inner healing selves. 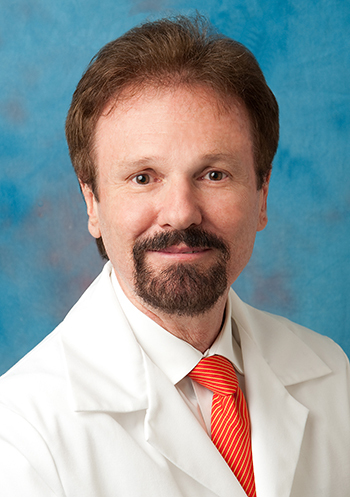 Bob Climko, MD, MBA, is physician program director for Professional Development, The Southeast Permanente Medical Group. He’s also an addiction medicine specialist with Kaiser Permanente’s Behavioral Health Department. Connect with him on Twitter @BobClimko. This column originally appeared on MDatl.com.